The market is flooded with different kinds of mobile devices. 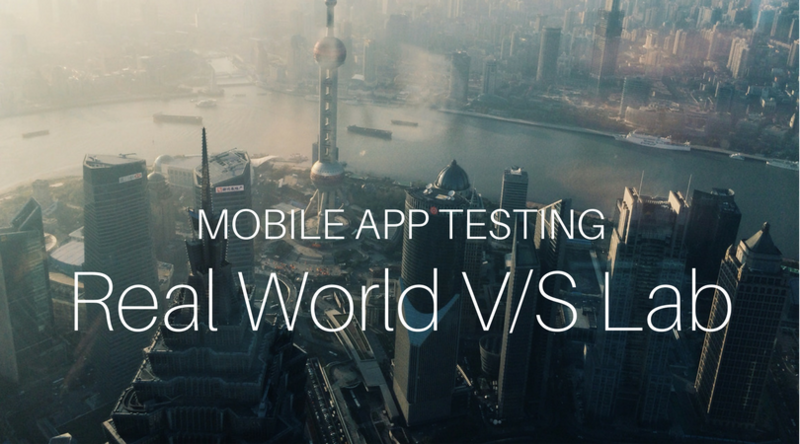 Real world testing is helpful for an app that has to perform in different hardware, software versions, and network conditions. All this coupled with user habits and multitasking, an app is bound to falter. Lab testing covers a specific segment of test scenarios. Testing is traditionally done by a QA department in a lab with few devices and emulators. Testing in the lab, cannot help testing scenarios such as signal strength fluctuations, changing network connections, incoming calls, and messages etc. Emulators make it possible to cover a wider variety of hardware, but they aren’t fully representative of the actual device and its limitations. Adding to this chaos, mobile companies keep releasing new devices and subsequently, software updates come with the package. Testing in the real world involves professionally certified testers that can be an individual freelancer or part of an organization which specializes in Community Management for enterprise-level QA projects. Either way, this individual is selected from the target audience group of the business app. Device-related scenarios – Mobile devices come with the luxury of mobility, but they bring in a lot of other variables. Network related scenarios – Mobile devices run on networks. All networks have their own limitations. User level scenarios – There are many objectives here that real-world testing can meet. Having said all this, the most important factor is that it takes less time, money and effort. Save time with easy ramp-up capability of the crowd based techniques. Understand the niche market and the real value that is reaching the target audience. Grow your app at the pace of the changing market.